Most countries and regions have been subjected to the dominance of a single person at one time or another. This person was the head of the system and his decrees were unalterable and had to be followed by everyone under his rule. Although the names change from location to location, the authority of this person is the same everywhere. The ancient land of Egypt has the supreme power of individuals inscribed in its civilization, and these people were known as “pharaohs,” a term used only for the emperors of ancient Egypt. 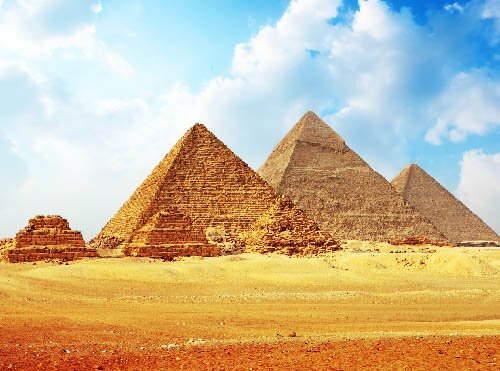 The history of ancient Egypt is considered to be the longest and greatest of any country, lasting for more than 5,000 years and its ancient dynasties and kingdoms have been determined by archaeologists on the basis of the reigning pharaohs. Egypt has witnessed so many pharaohs that they have been impossible to keep track of. Each one of them has contributed to the great wealth of history that has paved the way for modern Egypt. The pharaohs were both political and religious leaders. It was their duty to maintain peace in the kingdom at any cost, even if they had to fight at the borders for its protection. We know about these supreme Egyptian leaders through the many hieroglyphics and paintings found in their tombs. Some pharaohs were competent and some were evil, but those who have made it into the history books were usually a little unconventional. The title “pharaoh” was not initially used for the emperors. It came into existence after the reign of Merneptah around 1200 BC. Earlier than this, emperors had three titles assigned to them. The pharaohs were seen almost as deities so the title “Horus,” which was the name of an Egyptian deity, was used. The second was the title “Sedge and Bee.” Sedge meant Upper Egypt and Bee meant Lower Egypt, so the meaning of Sedge and Bee was the one who ruled both Upper and Lower Egypt. The third title, “Two Ladies,” referred to the two goddesses Wadjet and Nekhbet. It was believed that they were the guardians or patrons of ancient Egypt and people worshiped them as they had protected the unified nation for years. The role of a ruler was similar to that of a patron as he must protect the kingdom and its people, and this is why these titles were used. The later “pharaoh” literally meant “great house” in reference to their royal palaces. Egypt is home to various pieces of architecture that are either mausoleums or a dedication to someone’s life, such as the Valley of the Kings or Khufu’s Great Pyramid of Giza. Every ancient structure reminds us of the greatness of the current ruler but the high quality which can be seen across all of them is due to the ancient Egyptians’ absolute belief in an afterlife. Almost every other tomb was built by its owner pharaoh who ordered the construction in such a way as to facilitate a successful afterlife leading to their rebirth. The tombs were surrounded by large galleries which were filled with precious artefacts and protected by strong blocks of mud bricks and limestone. These were the great pyramids. Atef: A kind of Hedjet (white crown) made up of discs and feathers. It was worn by the god of the afterlife, Osiris. Deshret: A red crown which has an Egyptian cobra carved on the front. It was believed to be worn by pharaohs of Lower Egypt. Hedjet: A white crown with a vulture engraved on it. It was worn by the pharaohs of Upper Egypt. Khepresh: A blue crown worn by the New Kingdom’s pharaohs in war zones or at ceremonies. Pschent: The combination of both the Deshret crown and the Hedjet crown. It represented the pharaoh’s power over all of unified Egypt. Originally, the kingdom of Egypt was separated into two sections. The northern part was called Lower Egypt and the southern part was called Upper Egypt. These were shown by the two different crowns, Deshret and Hedjet, which were worn by the pharaohs of Lower and Upper Egypt respectively. The kingdom was later unified by the Egyptian king Menes in the Early Dynastic Period. He was the first pharaoh of the unified Egypt. He is also identified as “Narmer” in archaeological records and is considered to be the founding figure of ancient Egypt. His death is still a matter of controversy but a famous theory is that he was trampled by a hippo. Becoming a pharaoh was not just a matter of bloodline that continued down the generations. It took a lot more than being the kid of a king to become a great pharaoh. Training began at a tender age. Lessons focused on both physical and mental strength, and shooting, hunting, and fighting all featured on the curriculum. Only if the current pharaoh thought his heir worthy of the throne would he be made co-regent and ascend the throne after the death of the pharaoh. The reason behind this rigorous regime was to produce a strong pharaoh, as a king had to uphold the reputation of a deity and be worshiped by his people. 6. Did every pharaoh have a beard? Statues and paintings of pharaohs show how each one of them had a beard, but this was not actually the case. 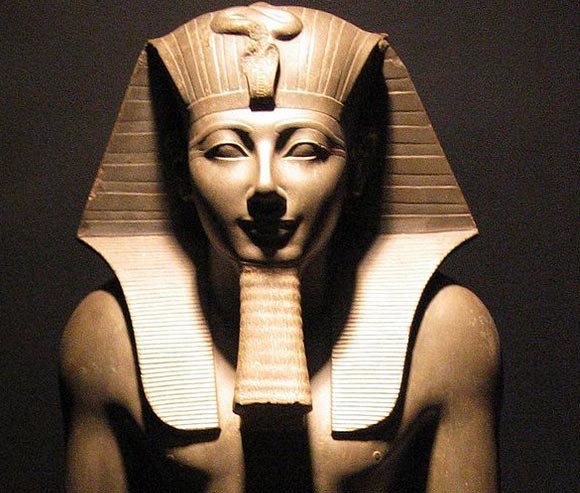 Pharaohs have always been portrayed with the beard but the truth is that it was fake. Hygiene and beauty were of the utmost importance for the ancient Egyptian people and pharaohs. They used to be clean-shaven and used fake beards that were braided to appear clean. The pharaohs used to wear fake beards so as to imitate the god of the afterlife and rebirth, Osiris. The pharaohs were believed to be the embodiments of gods and in order to maintain this reputation, they wore fake beards. Even the female pharaohs used to wear them. You cannot find a single picture of a pharaoh without makeup. Both male and female pharaohs used makeup and other cosmetics to look beautiful. Beauty was important in ancient Egypt as it equated to godliness. 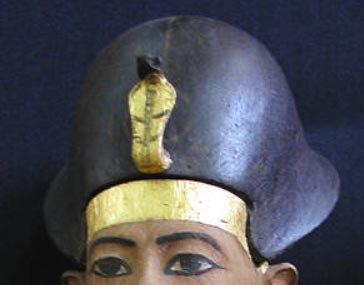 The emperors used to line their eyes with kohl to make them appear darker and almond-shaped in imitation of the god Horus who had dark, almond-shaped eyes. The use of kohl also protected the eye from the brightness of the sun and reduced the chances of contracting eye disease. It was also believed by the pharaohs that lining the eyes with kohl would help drive away negative spirits and provide them with protection. Beauty was seen as a reflection of holiness which ultimately brought them a little closer to the gods. As made famous by many books and documentaries, there is a legend attached to the tomb of Pharaoh Tut. The legend states that if someone disturbs the mummy of a pharaoh then he or she will be cursed with sickness, bad luck, or even death. The legend was made real when the tomb of Pharaoh Tutankhamun was excavated from the Valley of the Kings in Luxor. Although there is no written proof of such a curse, a number of suspicious incidents took place after the excavation of the tomb. People who visited or were closely associated with the excavation died in questionable circumstances and a lot of them suffered various fatal diseases. All these incidents could be sheer coincidence but the fact that they occurred in the proximity of the tomb lends credibility to the creepy prophesy. In ancient Egypt, the pharaohs were considered to be close to god and to protect them from evil spirits they had protectors known as “Mau” or cats. Believe it or not, cats were considered holy by the pharaohs and ancient Egyptians and played a key role in religious and social practices. Cats killed venomous snakes and were also believed to ward off evil spirits; they were worshiped and thought to possess divine energy. Various deities have been portrayed in historical texts with the head of a cat. The prominence of cats among the pharaohs can be seen in the large number of mummified cats found in a cemetery in central Egypt. The death of the first pharaoh was rather a bizarre incident. Menes, the pharaoh who unified Upper Egypt and Lower Egypt, is supposed to have died heroically but the actual story is far from it. Menes had a great reign that lasted for 62 years but unfortunately it was brought to a close by a hippopotamus who supposedly crushed him to death. There are no official records of how this happened but it is the only information available to date to explain his death. The contribution of the pharaohs to the history of Egypt is remarkable. The buildings and objects they left behind show their dedication to the field of art and culture. The pharaohs have left a wealth of ethereal architecture and cultural heritage that still amazes the world today. The mysterious and hauntingly beautiful place that is Egypt is a gift left by the pharaohs to future generations. Though the legacy of these supreme leaders is beginning to fade, it is important for us to keep it alive for upcoming generations. The ancient Egyptian civilization may have lasted for thousands of years but over time it has disintegrated, and in order to protect the heritage of the pharaohs mighty steps must now be taken.